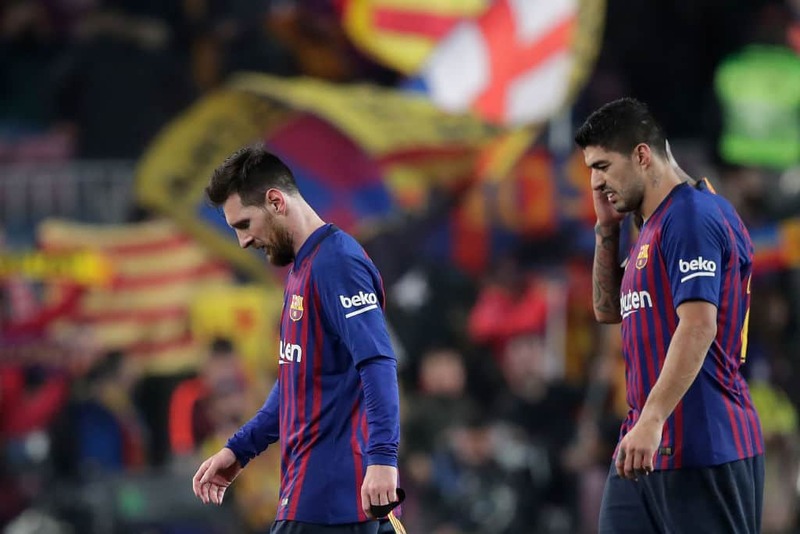 Luiz Suarez has opened up on why he did not speak with teammate Lionel Messi during Barcelona's 0-0 draw against Atletico Bilbao. La Blaugrana had a poor game at the San Mames as they were held to a draw for the second consecutive La Liga match. In a post match interview, the Uruguayan striker admitted that the team need to improve in communication. Suarez said: "In the first half, there was a lack of communication between us. "And that is something we have to correct. We lost the ball, we didn't speak." Ernesto Valverde's side were without Arthur and Jordi Alba who were both suspended as Arturo Vidal and Nelson Semedo filled the void. Philippe Coutinho was handed a starting place but failed to make an impact as he was replaced by Ousmane Dembele who just returned from injury. The Brazilian has been linked with a move back into the Premier League with Manchester United and Chelsea both showing interest. The La Liga champions were held 2-2 at the Nou Camp by Valencia and their lead at the top have been reduced to six points. Real Madrid move to second place after a 3-1 victory over their city rivals Atletico Madrid at the Wanda Metropolitano. Meanwhile, Legit.ng had earlier reported Philippe Coutinho following his below par performance against Real Madrid in the Copa del Rey, reports in Spain claim.